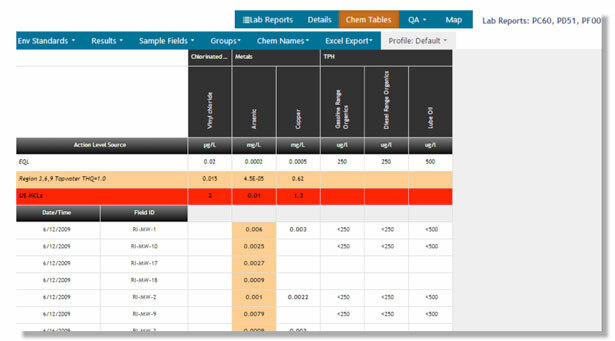 ESdat Online is perfect if you want a cloud based system that simply collates and reports your laboratory results. We took ESdat Server and put it in the cloud. You can now store all your lab and field data in the cloud. Tabulate and map your data and exceedances from a browser. Quickly generate inputs for your report. See https://online.esdat.net to request a demo account or to create a free account.